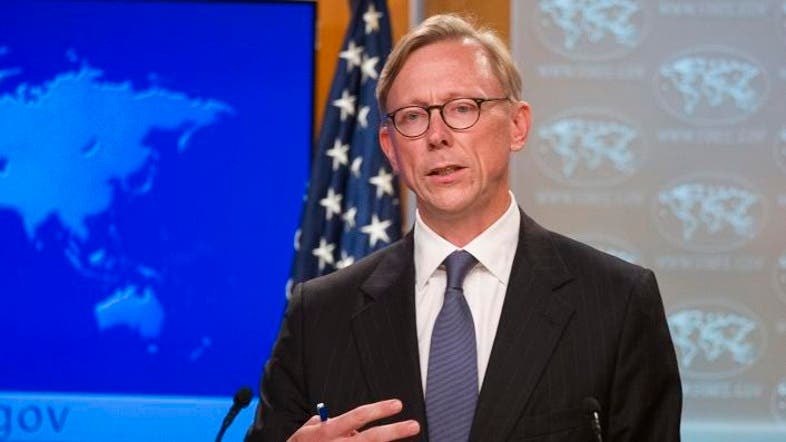 The US special envoy for Iran, Brian Hook, said on Thursday that Iran provides Houthis with missiles to target Saudi Arabia. Hook displayed rockets, missiles, small arms and debris from an Iranian drone that he says were intended for Houthis in Yemen and the Taliban in Afghanistan. He also repeated US claims that Iran is boosting its supply of weapons to Lebanon’s Hezbollah movement for use in support of President Bashar Assad’s forces in Syria as well as Shiite militia in Iraq. The material shows Iran is determined to send “even more weapons into the hands of even more of its proxies,” he said. “We need to get serious about going after this stuff,” Hook told reporters. Hook said an Iranian-designed surface-to-air missile with markings in Farsi, the official language of Iran, had been intended for the Houthis in Yemen but was seized by Saudi Arabia. He said it showed the brazenness of Iran’s intentions. 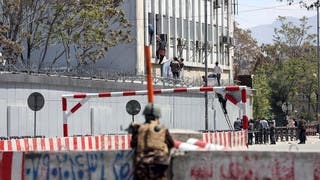 “The conspicuous Farsi markings is Iran’s way of saying they don’t mind being caught violating UN arms restrictions,” he said. Hook did not specify when the weaponry had been seized, but the UN Security Council in 2007 expanded an embargo on arms sales to Iran to include arms exports from Iran. Even under the sanctions relief provided by the nuclear deal the export ban remains in place until 2021 for conventional weapons and until 2024 for missiles.